BT More quizzes Duncan O'Rourke, Chief Operating Officer of Kempinski Hotels, on the brand's future plans for India. In an attempt to give the Indian leg of its business a boost, European luxury hotel chain Kempinski Hotels has decided to open three more hotels in the country by 2020 (besides the already existing Kempinski Ambience-Delhi). It was only last year that the establishment had parted ways with Leela Hotels, a move aimed at developing its own brand and expanding its reach over its expanse. 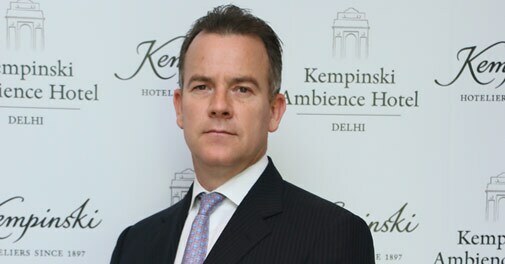 BT More quizzes Duncan O'Rourke, Chief Operating Officer of Kempinski Hotels, on the brand's future plans for India. BT More: Could you please elaborate on your expansion plans in India? Any specific reason why you chose Kochi, Kolkata and Mumbai for setting up new properties? Duncan: Kempinski only manages and operates luxury five-star hotels and we cater to a market which appreciates high quality services and facilities. We have thoroughly studied the Indian market and our customer base indicates that these are the cities with the highest demand either in combination or as standalones. Kerala as a resort would provide the added leisure aspects of travel to India to round out a visit. BT More: Currently, Kempinski operates just one hotel in India, while having over 18 in China. Is this because China has comparatively more favourable policies governing the hospitality sector, or is it due to better business prospects with regard to the clientele? Duncan: The reason for mutually agreeing to end our 20-plus year affiliation with Leela Hotels late last year was to be able to develop our own brand in India. Kempinski Ambience Delhi is our first fully managed property in India and we expect to expand as mentioned above. We have over 20 years of experience of operating hotels in China. We started with one property in Beijing, and currently own over 18 hotels. BT More: Where does Kempinski currently stand in India's hospitality sector? Where do you see yourself in this country in the near future? Duncan: As mentioned, Kempinski caters to a market which appreciates high quality services and facilities and has the resources to indulge in it. This market exists in East Delhi and is continuously growing here. At Kempinski, we are very bullish on new markets and always try and establish a first mover advantage, which we have accomplished with Kempinski Ambience Hotel Delhi at Shahdara. We are confident as the market leaders that the demand will grow in this direction and have already received positive feedback from our customers. We are very excited about our future plans for India and the upcoming properties in Mumbai, Kolkata and a resort in Kerala, each of which will feature 150-250 keys. BT More: Could you list some of the concerns that need to be addressed in India's hospitality sector? Duncan: Each opening or development presents its own concerns, regardless of the country - which is why we always partner with experienced developers to minimise the challenges. BT More: In the coming years, which countries (with the exception of India) do you intend to focus on? Duncan: In line with the development strategy, Kempinski will strongly focus on Africa in 2014. We see growth opportunities due to the continuously developing economic strength in the African continent. China, where Kempinski has had a joint venture with the Beijing Tourism Group (BTG) for more than two decades, also plays a vital role this year, with the opening of the exceptional Yanqi Lake project. We plan to open 12 hotels in the next 12 months: five in Africa, five in China, one in Saudi Arabia, one in Lebanon and one in Myanmar. BT More: What would you say is Kempinski's main USP? To clarify, how can one - probably a business traveller - tell it from a Hilton, or a Marriot, or a Taj, for that matter? Duncan: In a world where everyone claims to offer a luxury experience, Kempinski takes the path of timeless elegance, discovery and tailor-made adventures. Culture, Gourmet, Beauty and Savoir-Vivre are the key areas of the guest experience that epitomise Kempinski's European brand positioning and brand values of being naturally stylish and refined, witty and daring, and surprisingly warm. Based on these key areas, we set the stage for the guest to experience the 'Remarkable European Flair' of the brand. To create this distinctive guest experience, there are certain operational concepts which have been developed to distinguish Kempinski Hotels; "Resense Spa" is a SPA experience inspired by ancient European bathing traditions; "Kempinski The Ball" is a revival of European heritage which also promotes local culture; the "Lady in Red" acts as Kempinski's First Lady and is a highly recognisable point of contact; new Food & Beverage concepts are a key differentiating factor for the Kempinski brand. BT More: The last few years have been tough on the global economy. Has Kempinski emerged from it unscathed, and if yes, how did it manage that? Duncan: Kempinski Hotels concluded 2013 with a further increase of its financial results, showing an improvement of 4.9 per cent on the company's record-breaking 2012 EBITDA (earnings before interest, taxes, depreciation, and amortization). With 1.1 billion Euros of revenue in 2012, our hotels passed the billion mark for the first time; in 2013 we were able to increase the revenue by almost an additional one million Euros. Our Gross Operating Profit (GOP) saw an organic growth of 7.3 percent for a total increase of 8.5 percent, in a competitive environment. This result is further proof that the group's long-term business strategy of focusing on its core business, the management of luxury hotels, is paying off. We have seen continuous growth in revenue and financial results since 2009. Despite various external influences in different key markets, such as political and economic instability in some countries, we were able to deliver the best result in the history of the company.